Natural Herbal Remedies for Hair Loss! Hair loss (Alopecia) can be a result of heredity, certain medications or an underlying medical condition, harmful chemicals used in hair products, malnutrition, prolonged periods of stress, pregnancy and childbirth. It’s better to use natural products to control hair fall than to go for expensive treatments at the parlor! Try these time-tested natural remedies that are effective in reducing & curing hair loss, and have no side effects either! Mix the powder of dried Indian gooseberry fruit powder with honey. Take it twice daily. Washing the hair with Indian gooseberry fruit powder also helps. Add henna leaves to mustard oil & heat on low flame to prepare a medicated hair. Use this formulation for massaging the scalp. Washing hair with a decoction of Liquorice (mulathi) is also beneficial in controlling hair loss. Mix a few drops of lemon juice in coconut oil. Massage the scalp and wash off hair after 30 minutes. A regular massage of the scalp with mustard, coconut or almond oil with the fingertips improves blood circulation and strengthens the hair. Mix a cup of curd and a tsp of lemon juice. Apply it on scalp and leave it on for 20 minutes. Rinse off with lukewarm water. This remedy is also beneficial in treating dandruff. Pound fresh coriander leaves to extract the juice & apply this on the scalp. Massage the scalp and hair with oil of bhringraj (Eclipta alba). Pound kalaungi (Nigella sativa) seeds & apply the paste at the affected area. Apply wheat grass juice to the scalp to combat dandruff and hair fall. To control hair fall, apply a paste of carrot on the scalp. Leave it on for 15-20 minutes and wash thoroughly. An easy cure for loss of hair is to massage the scalp with sesame oil which promotes hair growth. Eating 3-4 tsp of sesame seeds every morning nourish the hair. Take 1 tsp of equal amounts of powdered Indian gooseberry, Harad (Terminalia chebula) & Baheda (Termainalia bellirica) with lukewarm water daily for a week. One must daily have a healthy and nutritious diet that includes green leafy vegetables, fruits, milk and milk products, sprouts and whole grains. Drink plenty of water daily. 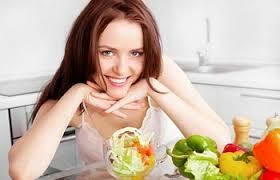 Cut down on spicy and greasy foods, excess salt and/or sugar intake, alcohol consumption and cigarette smoking! Maintain hygiene and brush your hair daily with widely spaced teeth. Do not comb when hair are wet. Avoid use of dryers, synthetic hair colors and dyes. 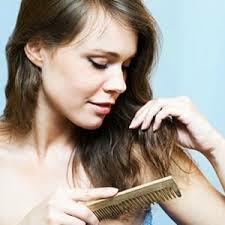 Try to keep dandruff at bay as this hair problem can further worsen the condition of hair loss. Do regular exercise and meditation for a healthy mind and body!